Ethiopian Airlines, the largest airline in Africa, has announced a new direct service to Sao Paulo from its Addis Ababa base. The airline currently flies in-directly to the Brazilian city via Lome, Togo, and will introduce the new direct service from 16th September. The direct service will be flown on one of the carriers new 787 Dreamliner aircraft. 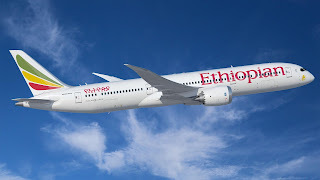 Ethiopian Airlines CEO, Mr. Tewolde GebreMariam, said; “We are delighted to offer our customers a faster and reliable connectivity between Africa, Middle East, Asia and Brazil with one of the shortest total Travel Time, operated with our state of the art fleet, Boeing 787. " 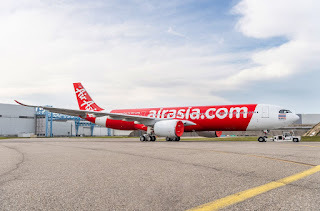 "Moreover, while operating amidst of the fastest trade lane, our flight to Sao Paulo has been providing efficient connections with 30 weekly flights to 5 destinations in China, 28 weekly flights to India, 14 weekly flights to Tel Aviv, 14 weekly flights to Beirut and almost daily flights to 55 cities across Africa." Mr. Tewolde GebreMariam, said. "In December, we shall complement our nonstop service with a fifth flight frequency(Sun/Mon), which will enable tourists and business travelers enjoy convenient connectivity options to/from more than 100 Ethiopian global passenger and cargo destinations. Furthermore, this move will also be an impetus to consolidate the multiple ties between Africa and Brazil’’.